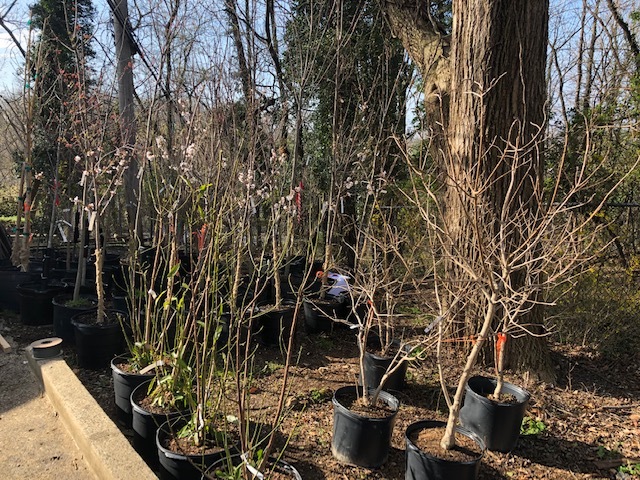 Through a joint program Between the RP Community Foundation’s Landscape Committee and Baltimore Department of Forestry, a selection of shade and ornamental trees have arrived. you must be a Roland Park Civic League member and up-to-date on dues With Roads & Maintenance. Agree to care for and deeply water the tree for first 2 years until established. Keep tree mulched and free from weeds and debris. Protect from deer browsing damage if applicable. If you pay full R&M dues- 8X basic rate, you may have 1 tree planted for free each year you pay full dues. If you pay only the basic R&M dues, you will be responsible for planting the tree. Quantities are limited and available on first come basis. Planting sites need to be approved before planting. Baltimore Department of Forestry does track the trees and your address will go into a Department of Forestry database.